Charlie Adley’s Double Vision – What Do We Ever Truly Wholly Own? 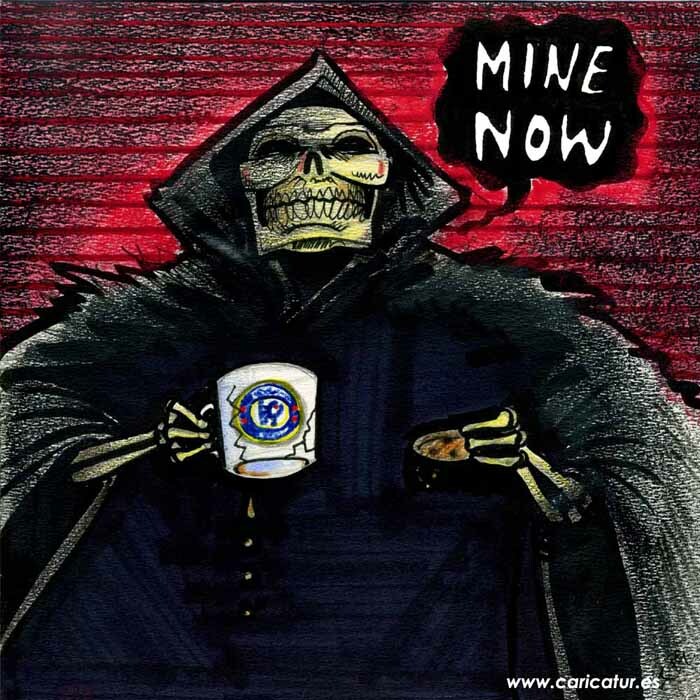 Grim Reaper Cartoon: Death enjoying a nice biscuit and a cuppa from a chipped Chelsea FC mug from Double Vision by Charlie Adley! “There are three cracks running from top to bottom on the inside of my Chelsea mug. Against the white they look like long thick dark strands of hair. The base still appears sound, but I’d look a right plonker if it fell apart and scorched me with boiling hot tea. More Double Vision cartoons here.